Mark Twain said that “all writing is easy. All you have to do is cross out the wrong words.” But which ones? Here are some subtle words that regularly give us pause for thought at Editor Group. They’re not obvious clichés or mistakes, but they are often overused, misused or unnecessary, which makes them worth watching out for as you write or edit. And don’t feel bad if you do use some or all of these words – so do we. This list comes from words we regularly strike out of each other’s work internally at Editor Group, so we know how insidious they can be! the – People often start a sentence with ‘The x’, but make a big assumption that the reader has the foggiest idea what ‘x’ is. Make sure you’ve said ‘x is …’ before you start saying what it’s up to. today – ‘Today’, much like ‘now’ and ‘currently’, is often superfluous and can date your prose. It also has a Peter Pan–like quality to it. If you say that ‘today’s business environment is …’, it’s either correct on the day you wrote it or meaningless every day it is read. We generally find you can do without these temporal markers – just let English’s handy present, past and future tenses do the work. quicker – A word that often replaces the more laborious but grammatically correct ‘more quickly’. It can, however, come off as quite informal. Technically, quicker can only ever be an adjective – not an adverb. So ‘Jill wrote quicker than Jane’ should become ‘Jill wrote more quickly than Jane’. But ‘Jill is a quicker writer than Jane’ is acceptable. big – There’s a fine line between plain English and unrefined English. When it comes to corporate writing, ‘big’ is often accurate (‘It was a big change in direction for the company’), but perhaps not posh enough (‘It was a significant change in direction’). So we’re not banning it altogether, but suggest you consider tone when you go ‘big’. actively – You often see this come up when, for example, a customer is ‘actively considering their next step’. Don’t be afraid to let verbs do their job – readers will understand that if someone is considering their next step, they are already being active. literally – Unless what you’re describing is taking place before your eyes, you probably mean ‘figuratively’. For example, ‘The volume of data is literally exploding’ should describe a military arsenal accidentally detonating next door to a data centre. (Hopefully with failover systems in place.) If it doesn’t, then you mean ‘figuratively’. You could say the data increased rapidly or unexpectedly or, if that’s too dull, at least just say ‘the data is exploding’ so pedants have less to get annoyed about. like – ‘Like’ is fine when you mean you like something or that two things are alike (‘I like him; he’s just like my best friend’). But try to avoid it when you mean ‘such as’. For example, ‘The government faced major issues, such as crime, poverty and corruption’. You can see that ‘like’ would sound totally teenager in that sentence. discuss – ‘Discuss’ is a transitive verb; therefore, it must always appear with a direct object. This immediately rules out awkward phrases such as ‘Let’s get together and discuss’ or ‘Realising that the problem needed a swift solution, our senior executives decided to discuss’. It also eliminates the need for any preposition between the verb and its direct object. So ‘Let’s discuss Peter’ is fine, but ‘Let’s discuss about Peter’ is out. This will most likely come up in emails, so we’d just add that it’s best not to ‘discuss’ discussing people in writing. effectively – This means to do something with great success; it doesn’t mean ‘in essence’ or ‘in effect’. So ‘effectively, this means …’ becomes the much clearer ‘this means …’. over – This is an action, as in ‘The subeditor tripped over the malapropism and ruptured his funny bone’. Use ‘more than’ when you want to indicate numbers or quantities. For example, ‘The company has more than 20 products’. 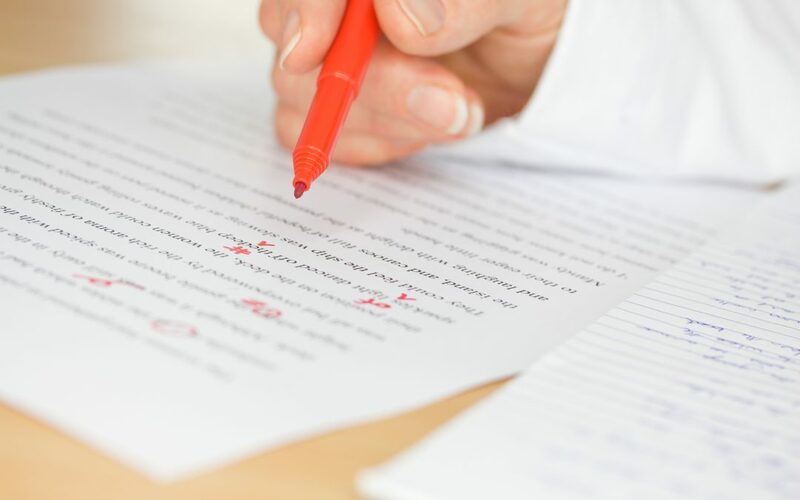 Need help editing or proofreading a piece of content? Contact us here.